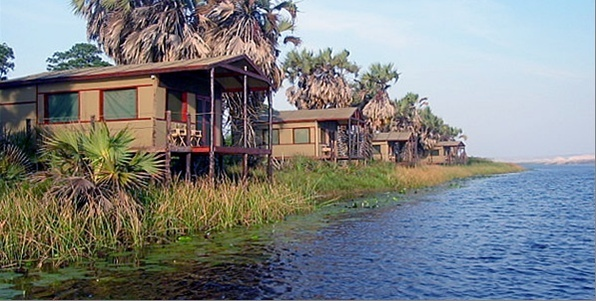 Camp Rio Longa is situated on an island near the mouth of the Longa River on the West Coast of Angola. Only two and a half-hours by road, South of the capital city Luanda, the Rio Longa forms the southern most border of the Kisama National Park. This park achieved international recognition following a well-publicized elephant relocation project during the year 2000. Surrounded by the fresh waters of the Rio Longa, the island is literally only meters away from the Atlantic Ocean. This mighty body of water is kept at bay by a permanent sand split that forms the barrier between the river and the sea. 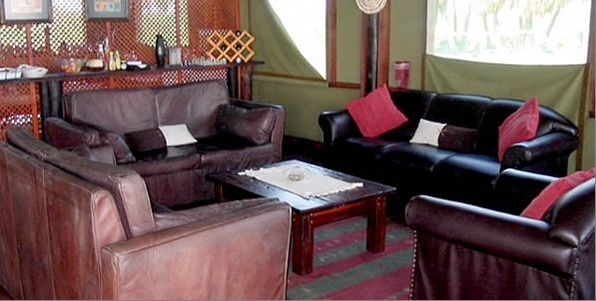 The spacious entertainment area consists of a comfortable lounge, dining area and bar where the days' experiences can be related over a cold sundowner drink while the kitchen prepares traditional Portuguese and African delicacies or the fresh catch of the day. The lodge also has a well stocked library of reference books. 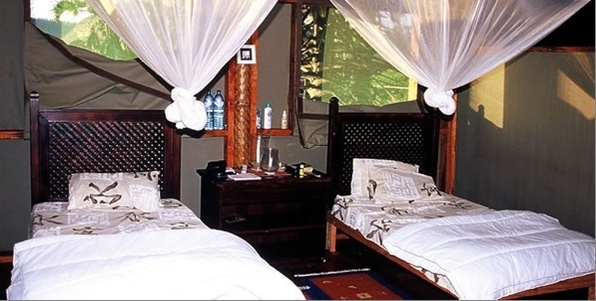 The luxury safari style tents are very spacious, comfortable and tastefully appointed and all have twin beds with mosquito nets, the en-suite facilities consist of a modern flush water closet, hand basin and shower with hot and cold running water. Towels, toilet paper, bath soap, shampoo, mosquito repellent, bottled drinking water and candles are provided. All the luxury safari tents offer spectacular views across the beach onto the Atlantic Ocean. Experienced camp staff ensure that guests receive the best attention at all times and a memorable stay equal to none.